With an estimated population of 200,167 residents as at 2014, the city of Glendale in Los Angeles County, California is the third most populated city in Los Angeles County while also ranking 23rd in the entire state of California. The city of Glendale is about 13km North of Downtown LA. Glendale is a suburb in the metropolitan area of Los Angeles, lying in the southeastern end of San Fernando Valley. The city of Glendale is bordered to the Northeast by La Canada Flintridge, to the Northwest by the Sun Valley as well as the Tujunga neighborhoods of LA; it’s also bordered by the Burbank and Griffith Park in the West; the Eagle Rock and Pasadena to the East and by Los Angeles’ Atwater Village neighborhood to the South. Ventura, the Golden State, Foothill and Glendale freeways run through it. Noting that Glendale has a vast population, it’s not unusual to find that there are several law cases filed in the city yearly. 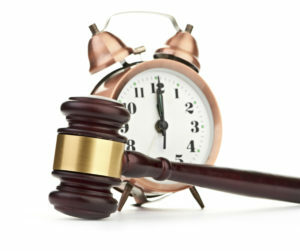 From accident related cases to work-related cases, Glendale isn’t short of the legal summons and court cases every year. If you happen to be in Glendale and need a professional Glendale Attorney to represent you when the need arises or if you’ve been in any case that requires legal action, you should consider coming over to our law office. We are Rawa Law Group, a prominent 5-star law firm that handles legal cases of different magnitude in Glendale, and surrounding cities in the state of California. Rawa Law Group is a renowned legal firm in California with an impressive legal might. We have a team of professionals who are top-rated personal injury attorneys and have track records with hefty settlement claims for their respective clients. Our team is value driven and strives to dole out value for our clients. With over 60 years of combined experience which our Glendale Attorneys bring to the table, you can rest assured knowing your case is in good hands. The law offices of Rawa Law Group has been in existence for over two (2) decades and in these times remained committed to offering stellar legal services thanks to a formidable team of attorneys we work with. When we take up your case, you don’t have to worry about communication gaps as we fill you in on all your case progress from start to finish. Our attorneys have a deep sense of compassion for the injured which is one of the reasons for our relentless, tireless advocacy for such injured persons. We don’t try to cut corners to make sure you win, rather we provide you with rock solid and ethical legal counsel and this comes at no hidden charges. At Rawa Law Group, we understand that the reason many prospective clients don’t reach out is that of the fear of legal fees. We try to get more people the help they deserve by striking out our legal fees and making our legal services on a contingency basis, so you don’t pay any upfront fees or legal fees at all until we have successfully won you that case. Our vast experience in the legal field has made us garner enough knowledge of what works best for each case and we utilize this tact to ensure you get the maximum settlement applicable by law. Our free consultation and flexible appointment schedule make us a top choice too. If you are not disposed to come over to our office for case consultation, our attorneys can make a home or hospital visit according to your schedule. Auto Accident Cases: Our highly experienced personal injury attorneys are proficient auto accident attorneys and can help you with a related case in Glendale, CA. If you or a loved one has been involved in an auto accident, motorcycle accident, or truck accident or similar cases you would need the legal might of an experienced Glendale attorney to get you that much-needed representation and Rawa Law Group is available to take up such cases. Our attorneys put in all their legal might to bring you closure and a decent settlement for the trauma and pain you experience because of this accident. Dog Bite: Getting beaten by a dog can lead to several complications and trauma. A dog bite is not only painful but you stand a chance of getting rabies (even though the possibility is negligible in the U.S). What you need to do is hire a Glendale attorney to help you table the matter in the law court and have the owner of the dog pay for your medical treatment as well as the reprimand he/she deserves for negligence. Estate Planning: When you need to properly plan your estate (maybe make a will, or set up a living trust) you can have one of our trusted and reliable Glendale attorneys handle the paper works and ensure that your will is well drafted and your trust set up according to your wishes. Proper estate planning in Glendale is important to avoid your loved ones from having legal issues or probate about your properties/asset in the sad event of your passing. Unlawful Termination: If you or someone you know have been hard at work in your place of employment only to be unlawfully terminated for something you have an idea about, you should reach out to a capable Glendale Attorney to help you fight for your right. Rawa Law Group is at your service for top-service legal representation at no upfront fees for you. We’ll help you fight for your right and ensure your employer is held accountable as he/she should. Finally, no matter your legal needs, bring it to us at Rawa Law Group and we would see if it’s something we can help you tackle. Our Glendale attorneys are well-versed in several aspects of the law, so a free consultation should let us better understand your case and how to tackle it. Get in touch via our toll-free number 1-844-444-1400 to request a consultation today.